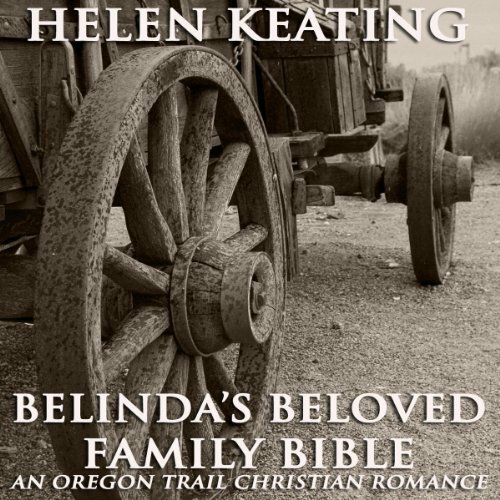 Belinda's Beloved Family Bible, is a story about a young Irish heritage woman traveling across the Oregon Trail and headed West, with her single parent father. Her mother had died giving birth to her and the treasured family bible held her only memories. On a rugged river crossing the bible is lost and Belinda doesn't notice until later, when her father - who's the wagon master - is unable to stop. Distraught, Belinda jumps off the wagon and runs towards the river and back into unknown territory.